Do all adults living in the property need to apply? Yes, AMI requires all adults living in the property apply and meet the approval qualification. Credit and criminal reports are individual and must be completed on each adult. 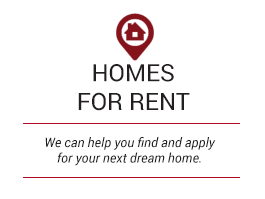 All applicants, eighteen (18) years of age or older who will be residing in an AMI managed rental property must fill out a separate application. The application fee is non-refundable. If you are over 18 but not yet 21 you will need a co-signer. If your qualifications do not meet with approval a co-signer may be added in some approved situations. The co-signer must also apply online, pay the application fee and supply copies of their ID, Social Security card and pay stub. The co-signer will be listed on the lease and will need to sign all lease documents. AMI will not hold an available rental property until we have an approved application with a signed lease and a paid security deposit. What are the general qualifications for application approval? Credit History - Two lines of good current credit established with a creditor who reports to Trans Union or other major credit reporting agency. Credit report should reflect no monies owed to a past landlord, no evictions and if you’ve had a bankruptcy it must be discharged. Applicants with credit scores lower than 620 may not be approved. Criminal Background Screening - Felonies/drug based misdemeanors or repeated misdemeanors will negatively impact your application. Landlord References/ Ownership History – Approx. 2 recent years of favorable rental references or ownership history. Income - Verifiable income that meets or exceeds three times the monthly rent. Income is verified via one of the following means: Most recent pay stub with year-to-date income OR hire letter/relocation letter/employment contract OR last 6 months of personal bank statements verifying deposits. NOTE: Negative credit history, rental history, ownership history, criminal report or employment reference(s) may keep an application from being approved. The security deposit and lease administration fee is due to AMI immediately upon approval but no more than 24 hours after application approval. The first month’s rent can be paid the day you pick up keys. Both the security deposit and first month’s rent is due in the form of a certified funds, cashier’s check or money order prior to occupancy. Rent is due on the first of each month and late if not received by 5 pm on the 5th day of the month (even if the 5th falls on a weekend or holiday). If you know that you will have a delay or problem paying by the due date, contact our office immediately to understand the process for late payments. On-line, credit or debit card payments must be completed before 5 pm on the 5th day of the month. Assured Management does not accept cash or postdated checks. 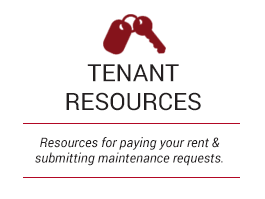 On-line rental payments can be completed via your Tenant Portal through Resident Direct 844-530-5785. Make your rental payment via credit/debit card or an e-check from your savings or checking account. You can make a one-time payments or sign up to have your payments automatically withdrawn each month. Note: Auto payments are for a set amount, if you are responsible for the water/sewer charges you will need to set up a separate onetime payments for the water/sewer charges. Set up the onetime payment before the auto payment is scheduled to start. In other words if you have set up the auto pay for the 1st of the month, on or before the last day of the current month set up the onetime payment. Use different checking/savings accounts. This will also work for roommate partial payments, each roommate would set up partial payments through their own Tenant Portal. Resident Direct charges .50 cents for an e-check and $45 for credit/debit card payment. Make payment at the office or send by mail. Start by reading Tenant Manual and get started by filling out the Add a Pet Request Form. Property owners have the option to approve or deny a request to add a pet to the lease agreement. Per the lease agreement visiting pets are never permitted in an AMI managed property. Occasionally it becomes necessary for one resident to move out while another resident wishes to remain in the rental property. No matter the reason, all residents must fill out and sign a Separation of Co-Residents Agreement. AMI will not partially refund the security deposit; residents must settle any disagreements regarding funds without AMI involvement. A processing fee of $200 must be paid to AMI before the separation process can begin; this fee may increase if the process requires additional paperwork or time in order to fit your particular needs. By signing the Separation of Co-Residents Agreement vacating residents agree to be released from the existing lease and agree to give up right, title and interest to the security deposit. Remaining residents agree to be re-qualified and to sign a replacement lease agreement that may include increased rent or increased security deposit. The existing lease remains in full force and effect until a replacement lease agreement has been signed by all parties. Email us with any questions at info@AssuredRPM.com. Check the lease agreement to see if you are eligible to give notice. You can give written notice 30 days before the last day of the lease agreement. If you are on month to month tenancy you can give notice 30 days before the end of the month you want to move out. If you move out in the middle of the month, you are responsible for rent to the end of the month. A lease is a binding agreement for a set period and you may still be bound to the lease. Click here to submit a notice to vacate. 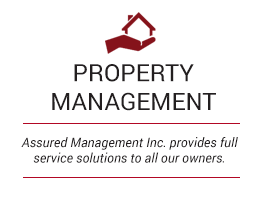 Tenants are responsible for the maintenance of the rental home in that you must notify AMI of any damage to the property or of poor performance of any vendor sent to maintain the property. 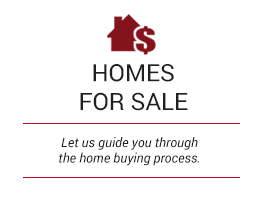 Please refer to your Tenant Manual for more information. Emergencies such as backed up plumbing, flooding, call the afterhours emergency service 720-575-7338.